The final speaker slot for the Business Day programme goes to Marcel Khan, CEO of Thunderbird Fried Chicken. Spending six years as Operations and Brand Development Director for Five Guys Europe, Marcel launched the US’s fastest growing restaurant chain in the UK, France, Spain and Germany. He oversaw over 90 restaurants including what would become eight of the company’s best-performing outlets in the world. 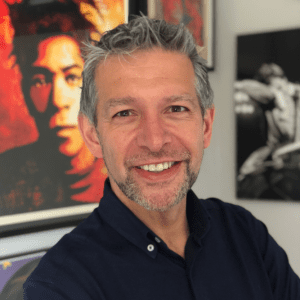 Before Five Guys, Marcel was Regional MD for Nando’s UK for almost a decade where he helped the brand grow from 42 to over 260 sites and became the company’s top internal management developer. Now serving as CEO of Thunderbird Fried Chicken, the TriSpan backed dynamic street-food to high street restaurant project undergoing expansion, Marcel continues to take on new challenges.